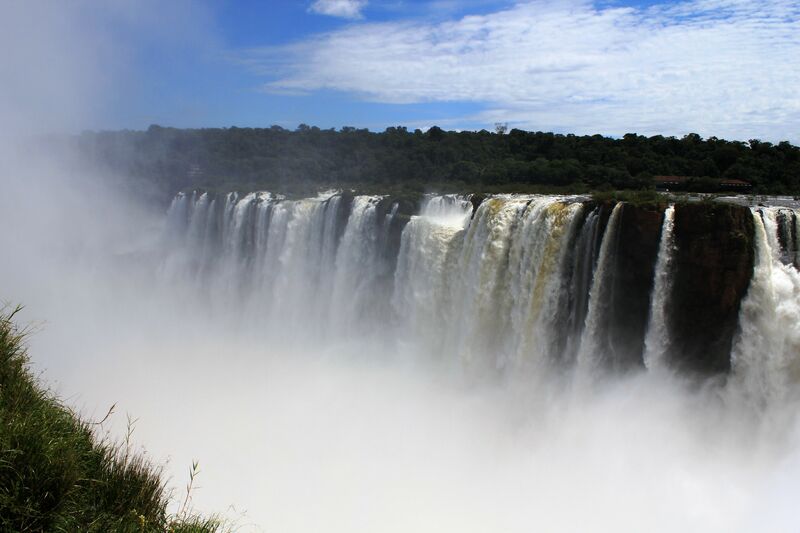 Iguacu- this Land of Waterfalls in the middle of nowhere will steal your heart and leave you with a sense of awe and serenity. 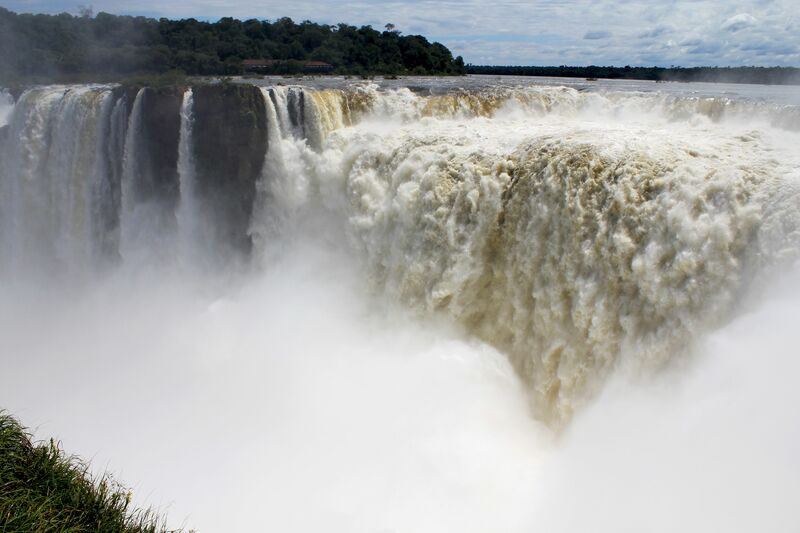 The name of Iguazu (Spanish) or Iguacu (Portuguese) Falls comes from the Guarani people – indigenous South Americans inhabiting provinces of Parana (Brazil), Misiones (Argentina) and Paraguay. 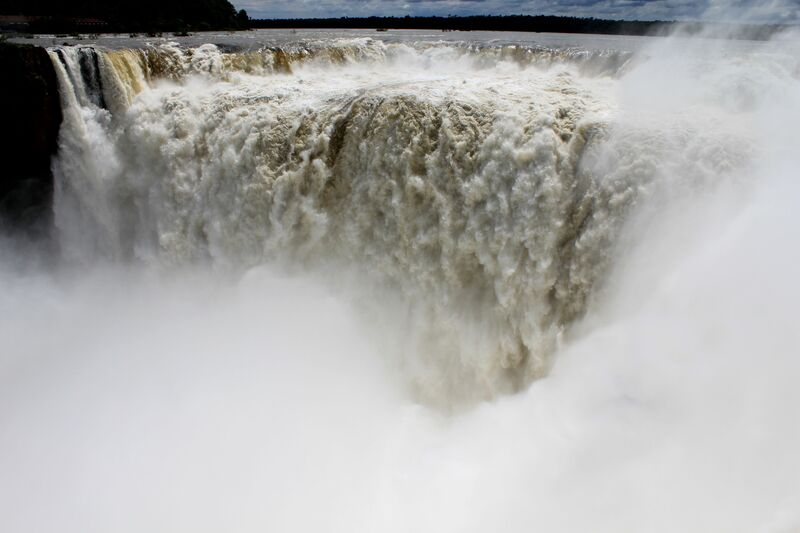 In their language Iguazu means “Big Water” and indeed it will be difficult to find the better name. Although the falls were known already to the 16th century Spanish conquistadors, the final "accord" of their triumphant re-discovery to the Western World by Bossetti took place at the end of the 19th century (I know – it is hard to believe!). 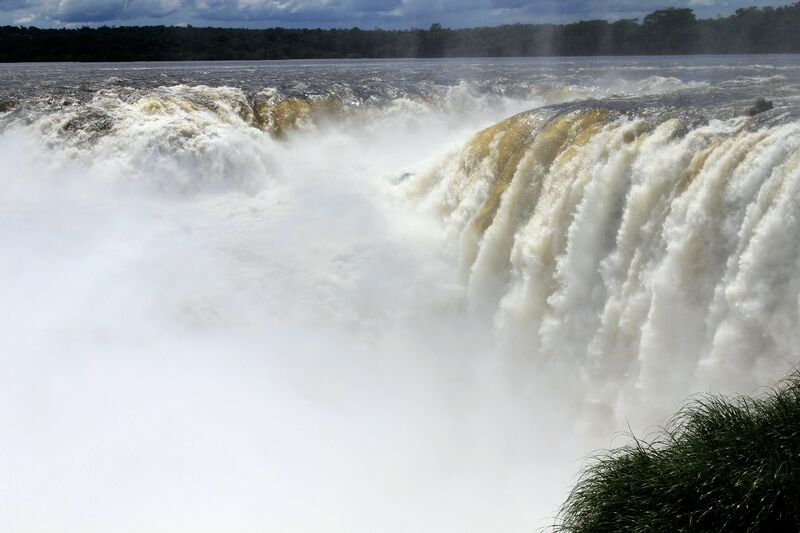 The Iguazu waterfalls consist of up to 275 falls and cascades spread over the 2.7 km (1.7 miles) of cliffs. 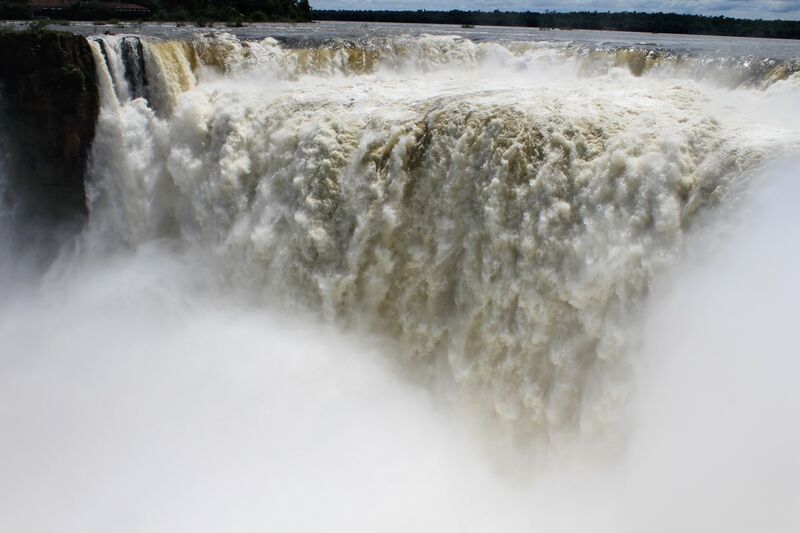 In the dry season due to the lower water flow in the upper Iguazu River the number of falls may be as low as 170. 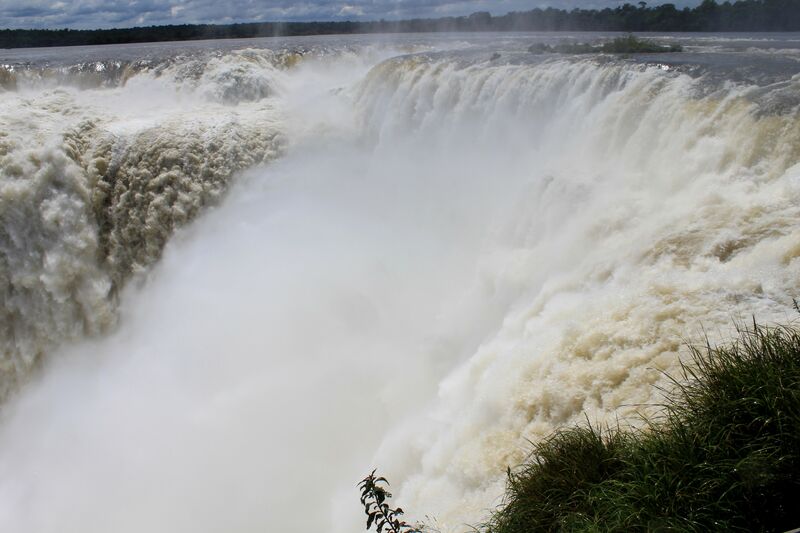 Strange enough - but it happened in the past that during severe droughts in the basin of the upper Iguazu River the falls totally dried out for several days. 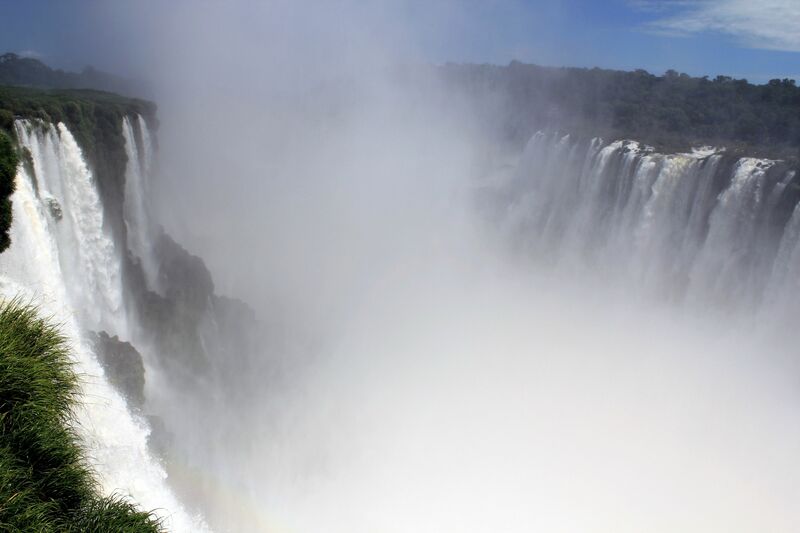 The most impressive part of the falls – the Devil’s Throat (Garganta del Diablo in Spanish) is a massive U-shaped 82 meters (270 ft) high curtain of water spread out over 700 meters (2300 ft) of cliffs. 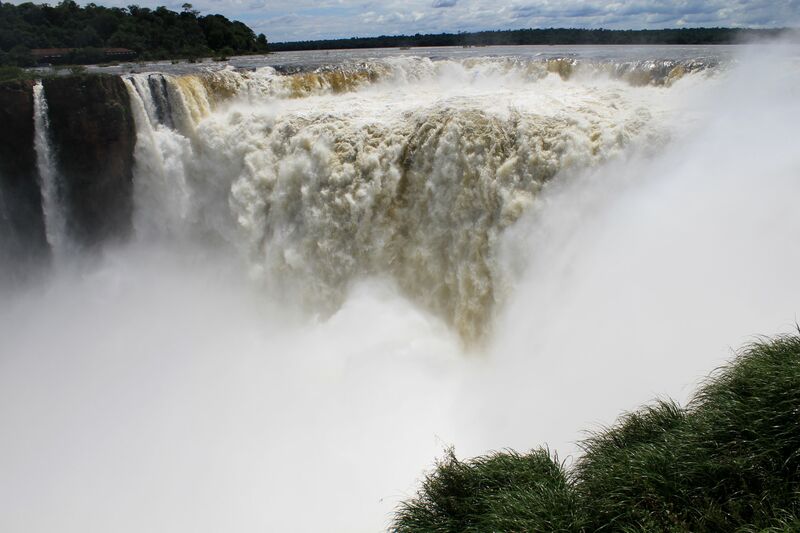 The gorge of the Devil’s Throat marks the border between Argentina and Brazil. 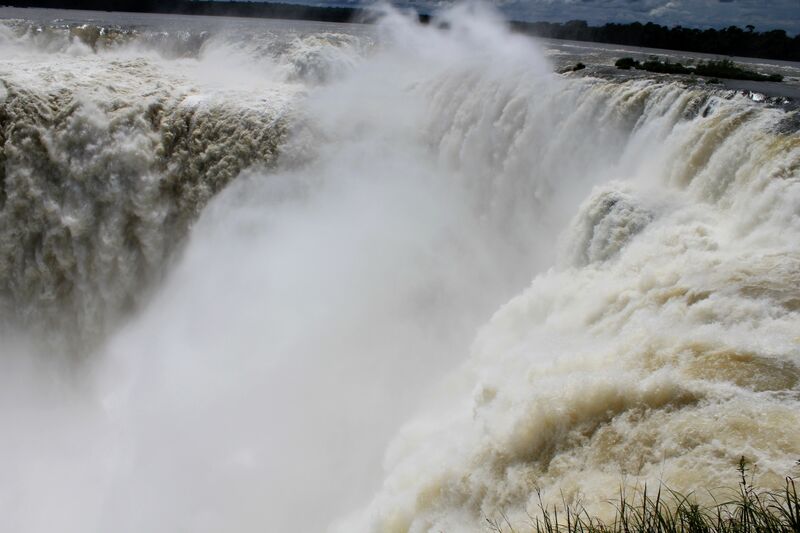 Additionally the Argentina side includes three large sections of equally striking falls including: Salto Escondido, Salto San Martin, Salto Mbigua , Salto Bernabe Mendez, Salto Adan y Eva, Salto Bossetti, Salto Dos Hermanos … to name only few. Devil's Throat (Garganta del Diablo) seen from the observation platform on the Argentinean side. 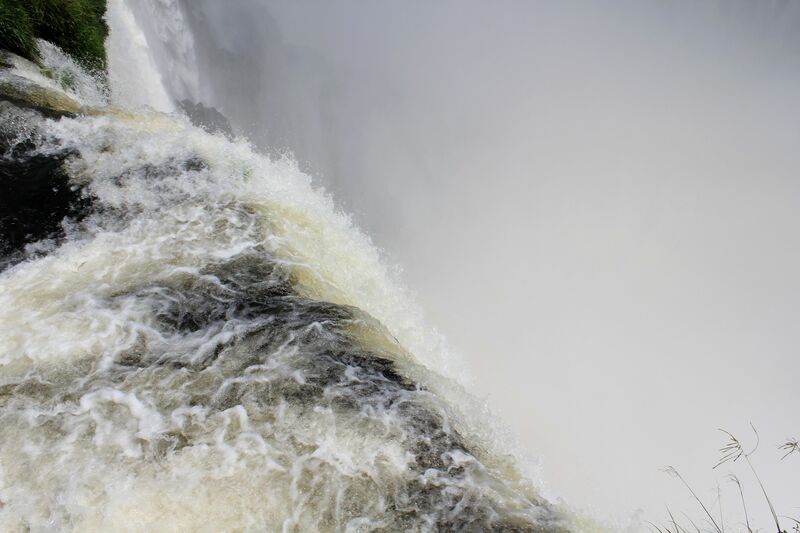 Can you hear the roaring "thunderstorm" of falling water? 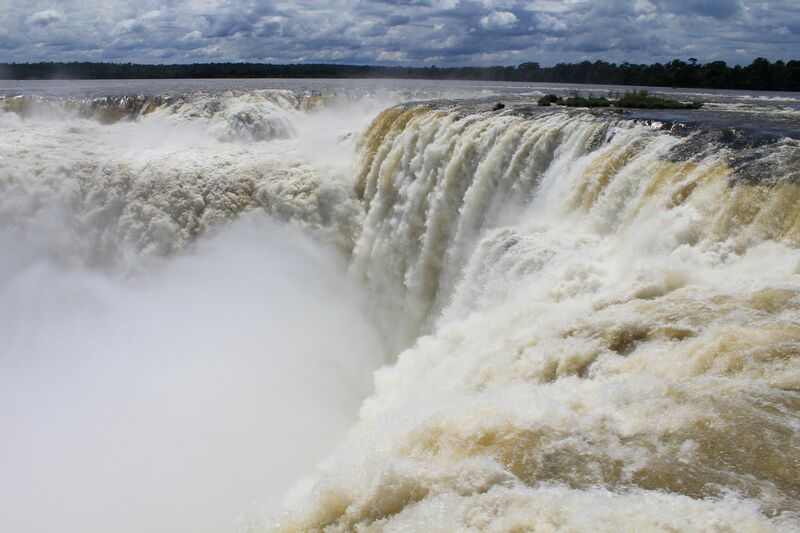 If you will ask me for one short sentence describing the Iguazu Falls I would quote someone saying: This is a “Niagara on Viagra” (originally - a Niagara on Viagara ). That tells you all! 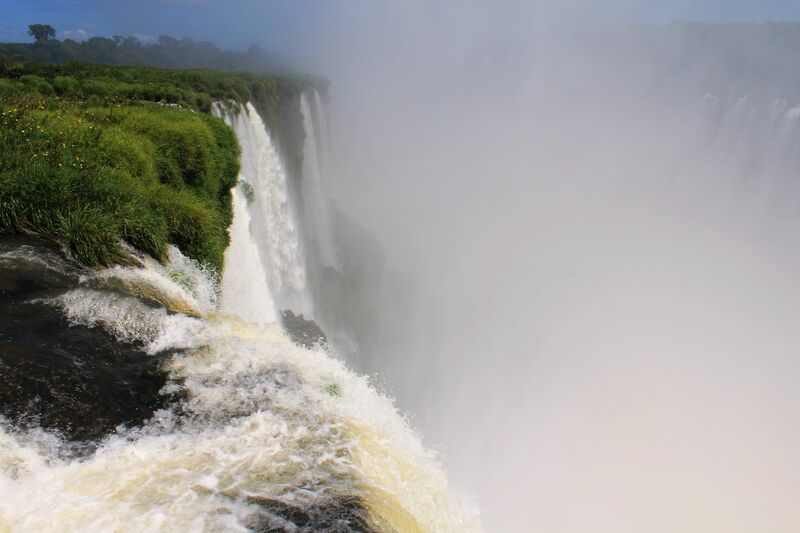 The bottom line is – by visiting the Iguacu National Park shown on these pictures - you won't be sorry... except when it's time to leave (it may be wise to bookmark this site so you can come here once again!). 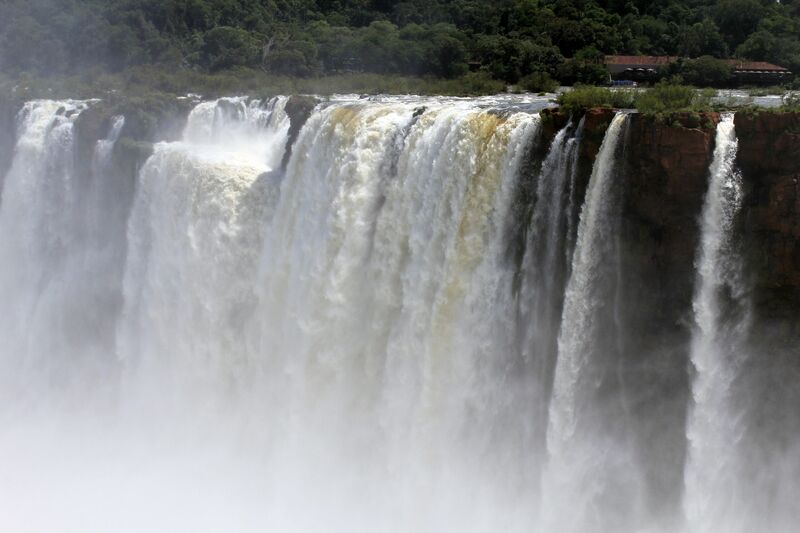 The most important truth about Iguazu waterfalls is that they are still pretty much “in the middle of nowhere” preserving the “virginity” of the nature. From any point along the circuits and trails what you see is ONLY the water (in all forms and states of the matter), rain forest with its abundant vegetation and wild inhabitants and well… hoards of tourists. The park’s infrastructure – train stations, food area, visitor and commercial centers are either far from the waterfalls and/or built as “invisible” single level structures. The sad exception is the Sheraton Hotel seen from far over the waterfalls on the Brazilian side. 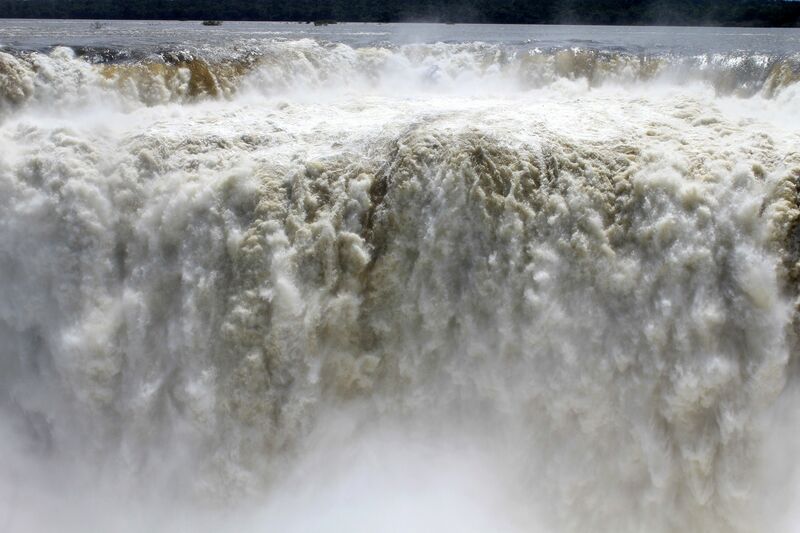 The bottom line is - if you can forget about the continuous streams of tourists, the Iguazu Falls National Park is clearly a kind “Nature and You” story. 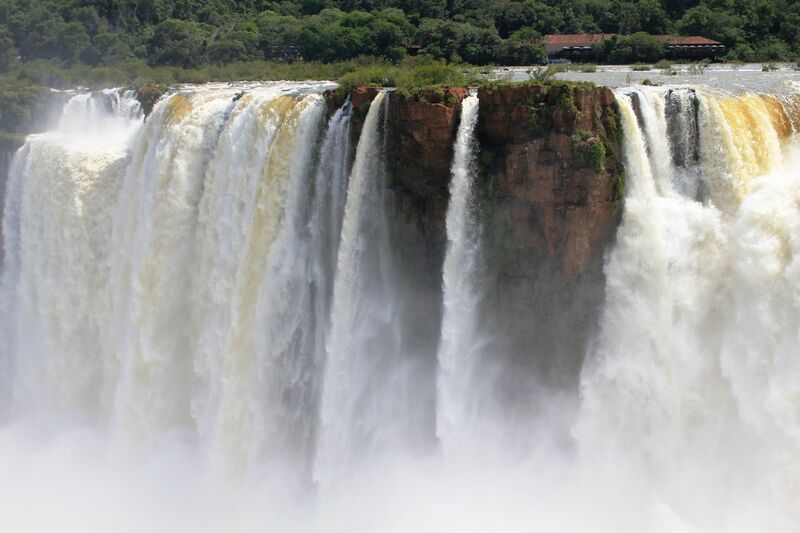 This is a really a remarkable achievement given the fact that the Iguassu Falls are one of the most visited touristic attractions in South America. That is a true gift but as every gift it also obliges all of us….. This is in huge contrast with the Niagara Falls commercialized beyond any imagination. Multistory hotels, huge commercial centers and omnipresent asphalt and concrete of endless parking areas in very close proximity of the Niagara Falls are brutally disturbing the harmony of the nature. They deprive you from the deep “connection” with the nature you expect to experience in this otherwise magnificent place. Actually all these concrete surroundings made me feel that the Niagara Falls are a man-made project opened in the downtown of the bustling city…..
We are about to leave the Devil's Throat (Garganta del Diable) and explore other trails and adventures available for the visitors of the Iguazu Falls National Park. 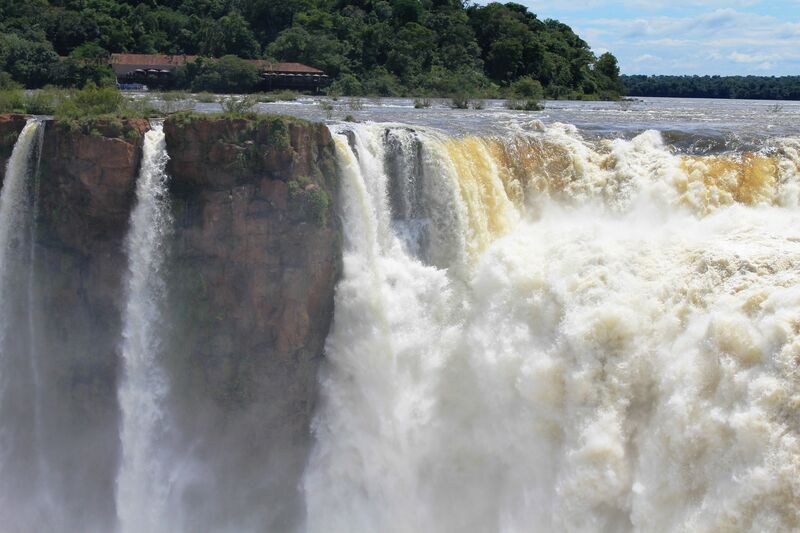 I hope that you already found some fascinating scenes offered by the Free Iguazu National Park Pictures and after this introduction you are ready to move forward. 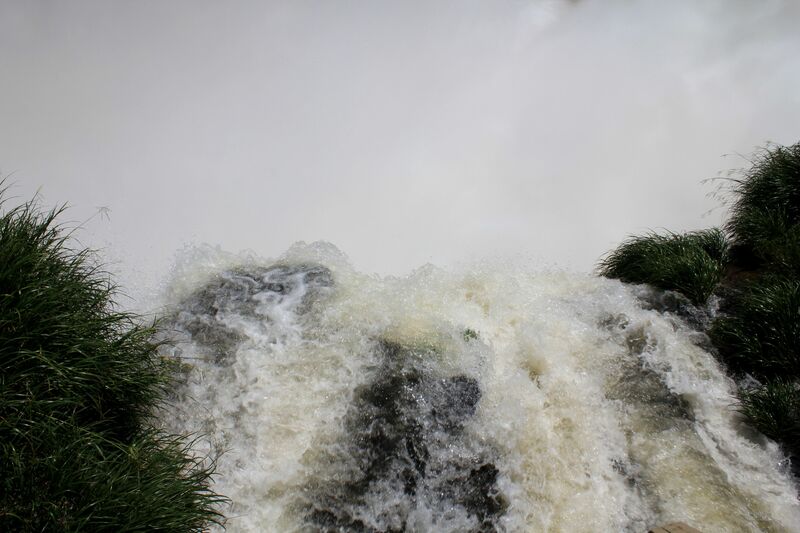 Finally you are still at the beginning of the exploration tours in the Iguacu Falls National Park.